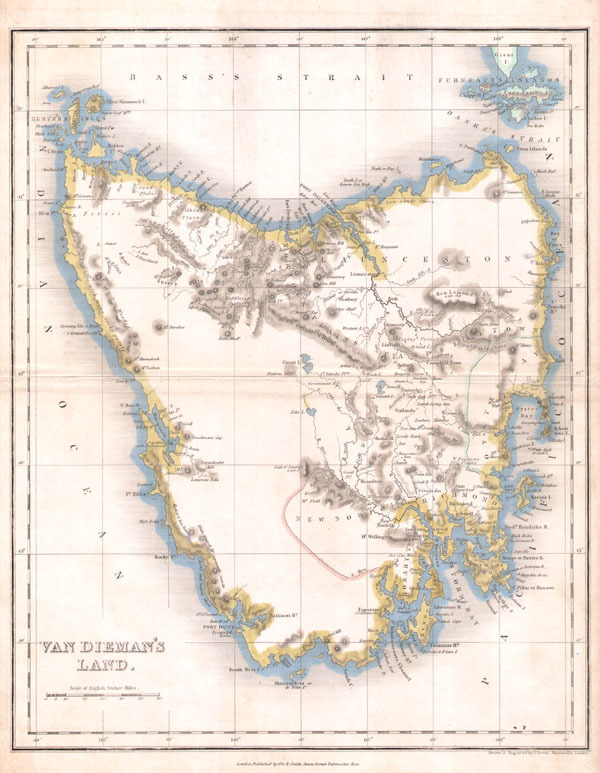 A very rare and unusual example of John Dower's 1837 map of Tasmania or Van Dieman's Land. Depicts the island in considerable detail with good notes on geographical features, especially along the coast. Maps of Tasmania are exceptionally rare and this one is no exception. Prepared by John Dower and published by Orr and Smith in 1837. Very good condition. Original centerfold, as issued. Minor age toning. Else clean. Blank on verso. National Library of Australia, Map Room, MAP RM 2042.